There are many ways to make your home feel less cluttered. While the obvious solution is to just get rid of what is cluttering your home, sometimes the way you arrange the necessary, everyday items can make your home appear too cluttered. Fortunately, there are some simple tricks you can use to help make your home feel less cluttered in less time! 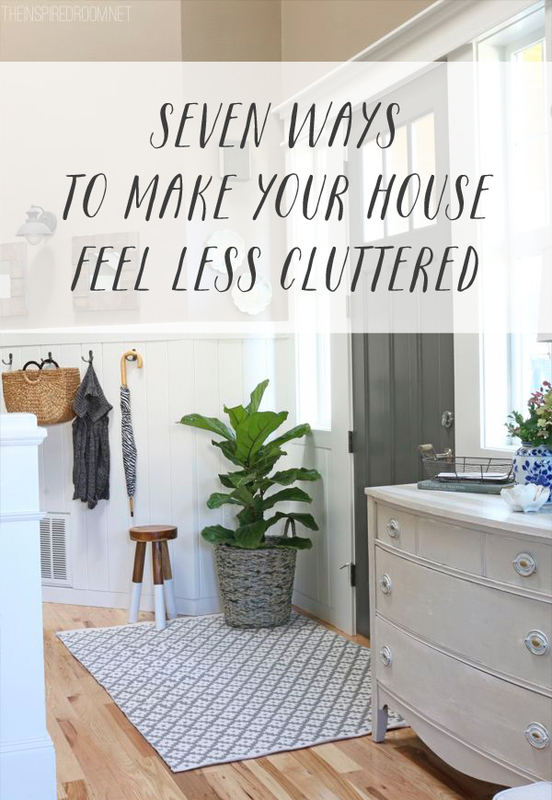 Today I’m over at The Decluttered Home sharing seven ideas you can try! Come over to see my tips! When I look at the picture “feel less cluttered” makes you feel taking time back as well. I mean quite nostalgic, like in 60’s. Its bright color makes more welcome. It reminds me of my child hood. I always feel so much better after clearing stuff away! The link doesn’t seem to work. Can’t find the article.